Destinations/Taste 24 Champagnes in 24 Hours! 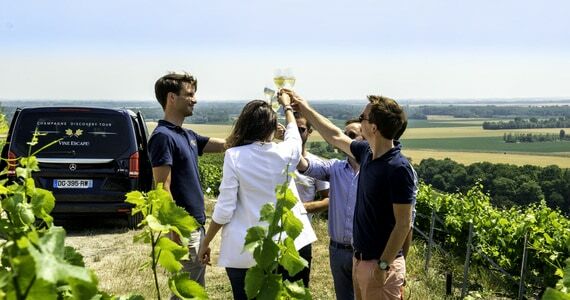 1 tasting and dinner on foot in Epernay and taxi transfers to the vineyards for 2 Champagne House visits and 1 tasting session. Available mid-week and weekends throughout the year. Please note that the restaurant is closed for dinner on Tuesday, Wednesday and Sunday. Recently recommend by the Sunday Times Travel Magazine, this whistle-stop Champagne tour allows you to taste 24 Champagnes in just 24 hours! 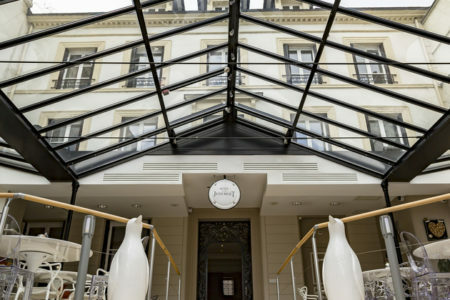 Based in either the Tradition grade 3* Hotel de Champagne or the quaint 4* boutique hotel Jean Moët in the centre of Epernay, settle into the hotel on the afternoon of day one, and a pre-booked and pre-paid taxi will take you out into the vineyards. 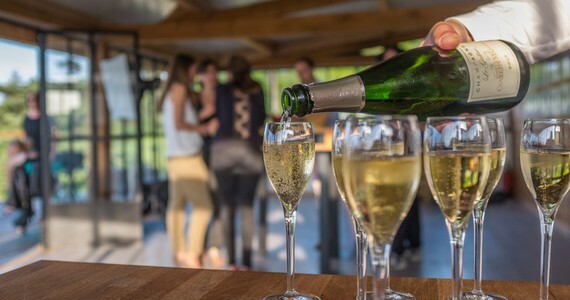 Here, you will visit a small, family-run producer of Champagnes for enjoy a tour of the fascinating Champagne making process from press to bottle, and tastings of five Champagnes, including a vintage Champagne. 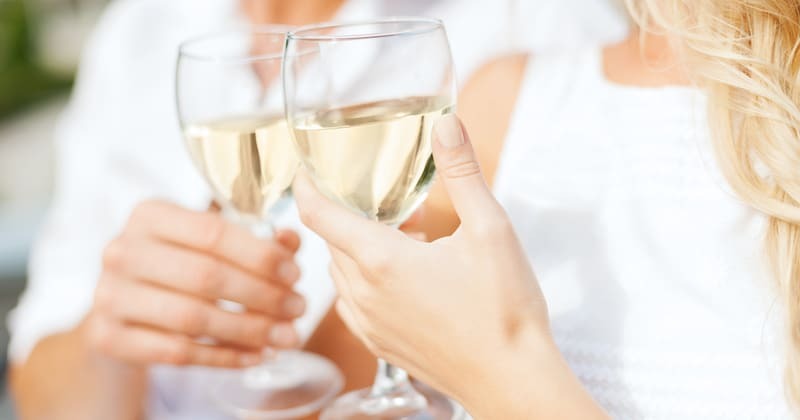 After returning to Epernay, an extensive tasting session of six Champagnes will be arranged for you in a cosy Champagne boutique located a few minutes’ walk from the hotels. Following these eleven Champagnes, a further three Champagnes will be served, alongside a delightful three course dinner in a top restaurant. After checking out of the hotel on day two, you will be taken back out into the vineyards to visit a second boutique Champagne House. 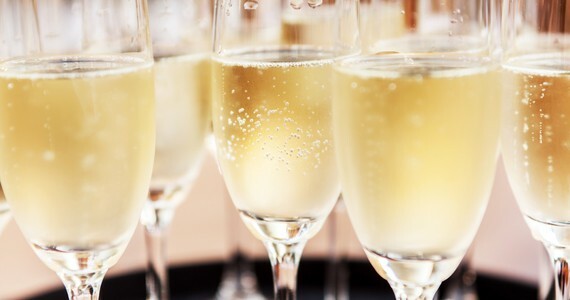 Here, you will have a shorter tour followed by tastings of five of the Maison’s Champagnes. You will then be taken to the famous village of Hautvillers, the “cradle of Champagne.” As well as having time to admire the spectacular views across the vineyards and visit the Church where Dom Pérignon is buried, a comparative tasting session of three single varietal Champagnes as well as a vintage Champagne and a rosé will take place in a quaint tasting boutique in the village. Platters of cheeses and gourmet local delicacies will also be served. You will be taken back to Epernay at around 2pm. 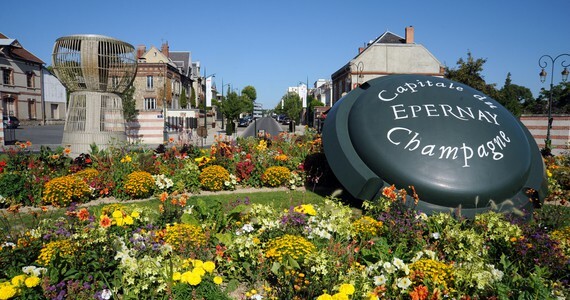 Upon arrival in Epernay, check into a Superior room at the 4* Hotel Jean Moët. 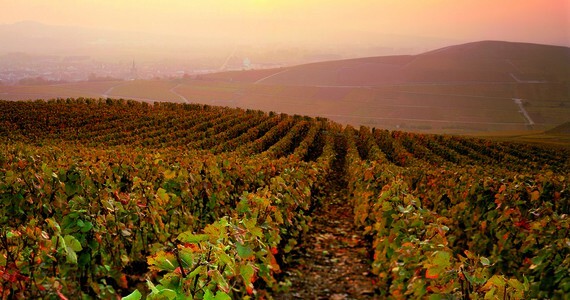 Pre-booked and pre-paid taxi transfers between Epernay and the vineyards. A tour and five tastings at a small, family-run Champagne House. 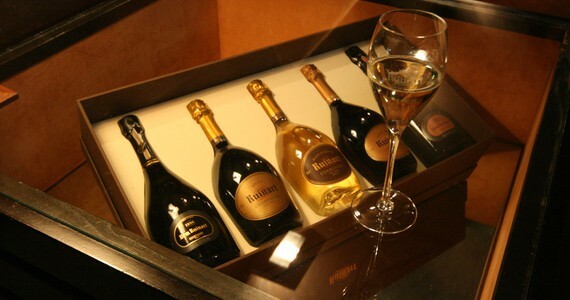 A tasting session of six Champagnes in a cosy tasting boutique in the town centre. A three course dinner in a highly-regarded restaurant with three Champagnes. 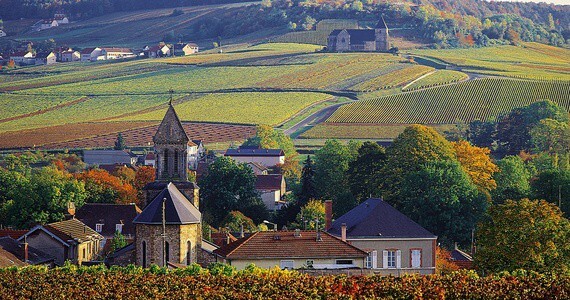 Pre-booked and pre-paid taxi transfers between Epernay, Hautvillers and the vineyards. A tour and five tastings at a second boutique Champagne House. A tasting session of six Champagnes with a light lunch in the beautiful hilltop village of Hautvillers. Bring friends and spend less! A discount of £60 per person applies to groups of four people or more. 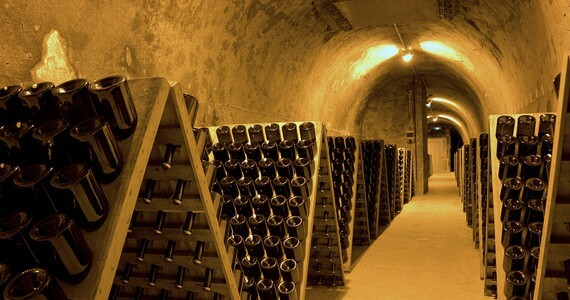 Visit a prestigious Champagne House. 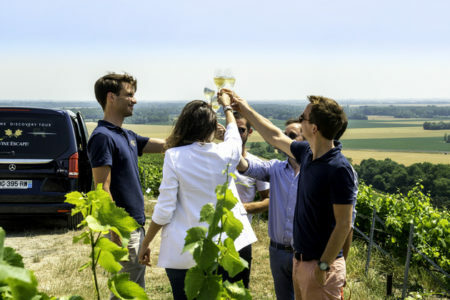 We can arrange tours as the guests of some of the biggest names in the region, for example Moët and Chandon, Veuve Clicquot, Taittinger, GH Mumm and Ruinart. Experience the region’s gastronomy. 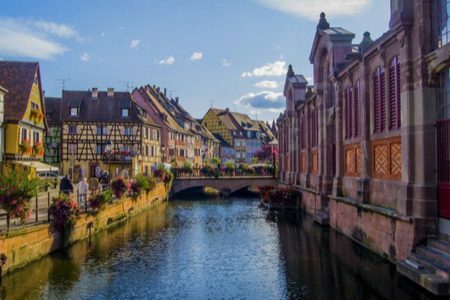 Epernay is brimming with unique gastronomic dining opportunities and what better way to enjoy a glass or two of Champagne than with a mouth-watering meal in the historic town centre. We offer a variety of menus to suit every budget. 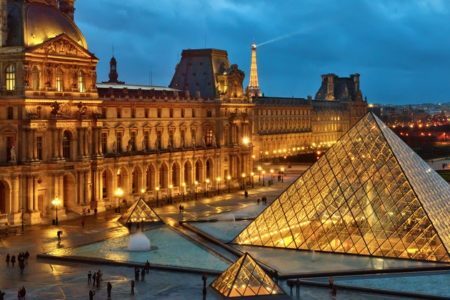 The price of this package does not include travel to the Champagne Tasting in Epernay. 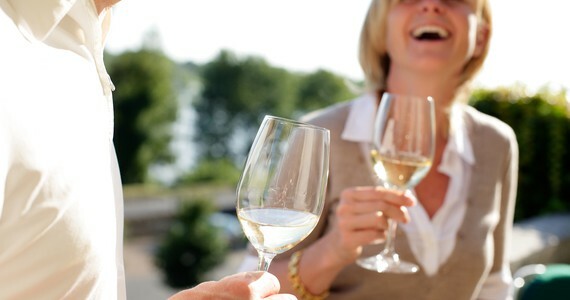 Please see our travel to Champagne page for information about how best to travel to Champagne. For more information on our flexible tours please see our Essential tours page. To secure your booking, a deposit of £100 per person is required. Your remaining balance will then be due 60 days before travel. Please call us on +44(0) 1920 46 86 66 or e-mail info@grapeescapes.net to request a booking form. Despite having travelled there with you several times before, the trip was a truly unique experience. Thanks it was brilliant - yet again! !